[vc_row][vc_column width=”1/1″][vc_single_image image=”8074″ border_color=”grey” img_link_target=”_self” alignment=”none” img_filter=”none” lightbox_gallery=”8072,8073,8074″ img_size=”1000×600″][vcex_spacing size=”20px”][vc_column_text]You might think the Maremma is only about provincial cooking and fantastic scenery, but you’ll surprised to know that the region is actually home to some very impressive and very avant-guarde art parks. 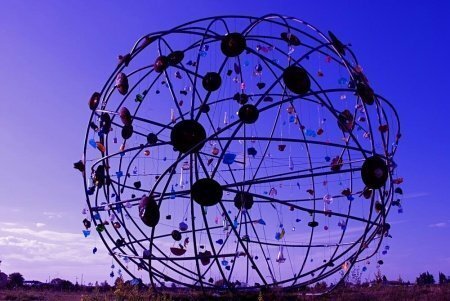 Whether they push the boundaries of recycled art or bring a slice of whimsical abandon to an otherwise tradition corner of the Tuscan countryside, these art parks are some of the most and popular amazing tourist attractions in the Maremma. And I haven’t even mentioned that fact that they’re usually set in the most amazing gardens, so you get dose of gorgeous scenery along with your artistic fix! There are five art parks in the Maremma and they’re scattered throughout the region.